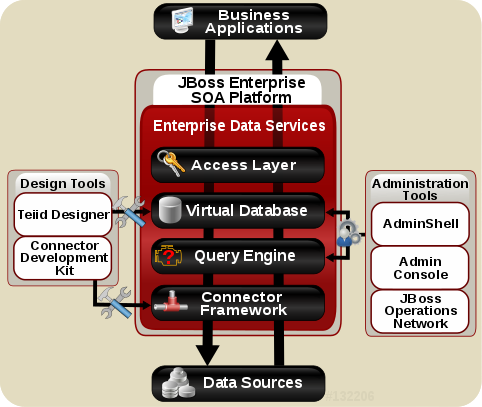 The EDS Service is positioned between business applications and one or more data sources. It coordinates integration of these data sources so they can be accessed by the business applications at runtime. Various design tools are available to assist users in setting up an EDS Service for a particular data integration solution. Various management tools are available for administrators to configure and monitor a deployed EDS Service.